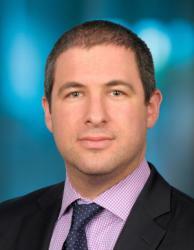 Cox Automotive has its first-ever chief data officer, and filling that new role is Mark Luber, who comes over from LexisNexis Risk Solutions. Luber spent 15 years there, most recently as senior vice president of global product and analytics. He will report to chief product officer Marianne Johnson and lead the company’s “data strategy, helping uncover new opportunities to monetize existing data and working to bring new data solutions to market,” Cox Automotive said in a news release. Luber will also head up the company’s data business, data roadmap and data governance. Reporting to Luber will be Woodson Savage, who is Cox Automotive’s associate vice president of enterprise data product management, and more than 150 experts in fields such as data science, product management, strategy, enablement, operations and analytics. “As the first chief data officer for Cox Automotive, Mark’s key objectives will be to unlock the power of Cox Automotive’s unprecedented data assets, accelerate our journey to become a truly data-driven business, and find new opportunities to monetize data products,” Johnson said in a news release. Luber’s experience also includes working as an advisory board member the non-profit Neighborhood Nexus for nearly a decade. That organization aims to “bring data, research and knowledge that creates a data-driven decision-making culture in the Atlanta region,” Cox Automotive said in its news release.